Obesity, type 2 diabetes and cardiovascular diseases have grown to be major health problems across the Netherlands and beyond, and the burden of ill health it imposes is likely to continue to develop for years to come. Sufficient physical activity, low levels of sedentary behaviour and a healthy diet are key lifestyle behaviours for the prevention of these diseases. Lifestyle behaviours and consequent health status are not only individual choices as they are influenced by contextual - or upstream - factors in our social and physical environments. Our social and physical environment often makes it easy to adopt and maintain an unhealthy lifestyle. But what factors -or combination of factors- drive people to behave unhealthy? And why are some people more susceptible to environmental influences than others? How do social and physical environmental factors interact with individual characteristics? Answers are essential in order to work towards effective prevention programmes. 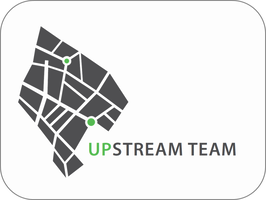 The Upstream Team seeks to gain knowledge in the spaces, places and conditions which shape lifestyle behaviours in adults, and explores how these relate to subsequent chronic disease risk.